Mix all ingredients in a large bowl until a soft dough forms. Spread on a dehydrator sheet and dehydrate for 3-4 hours @ 115. 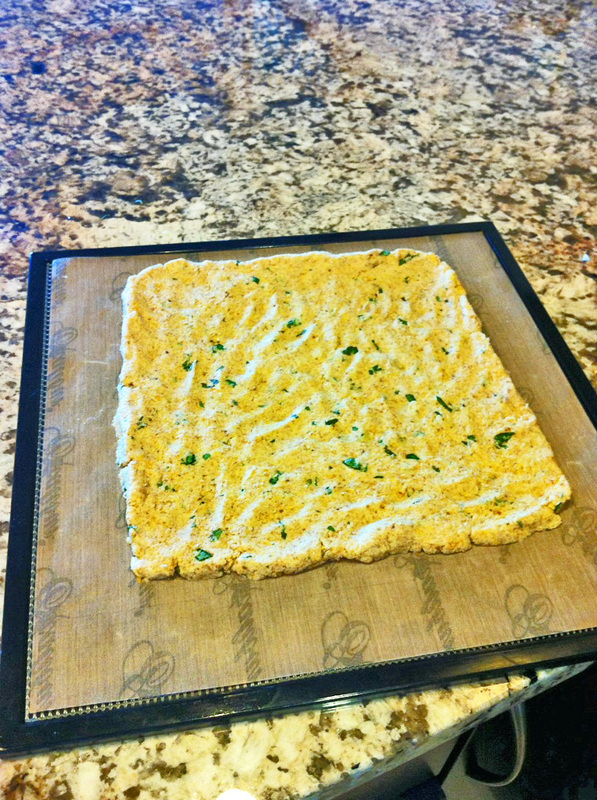 Turn on to a dehydrator tray and dehydrate another 1-4 hours. Cut bread into squares and store in a sealed container, in the refrigerator. To serve, re-heat in the dehydrator for approx. 10 minutes. This entry was posted on May 8, 2015 by thrivecoach12 in Desserts/Snacks and tagged Dehydrator Bread Recipe, Dehydrator Recipe, Fairview Heights Nutrition, Pam Faulkner Recipes, Thrive Coach 12 Recipes.